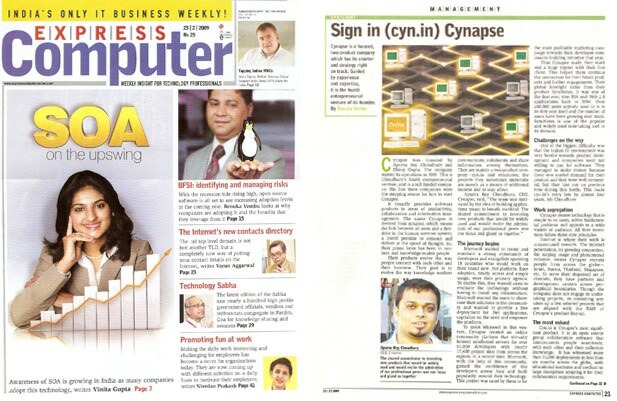 Express Computer Magazine, India’s Only leading IT Business Weekly, featured cyn.in in their Spotlight Section in February. Renuka Vembu, has in a succinct manner summarized Cynapse’s history and philosophy of developing products. This interview was done in December. cyn.in now has over 20K installations of the open source community edition across the world.